Big Spender - Sculpture - by Doug Hyde // £313.92 - 20% off. 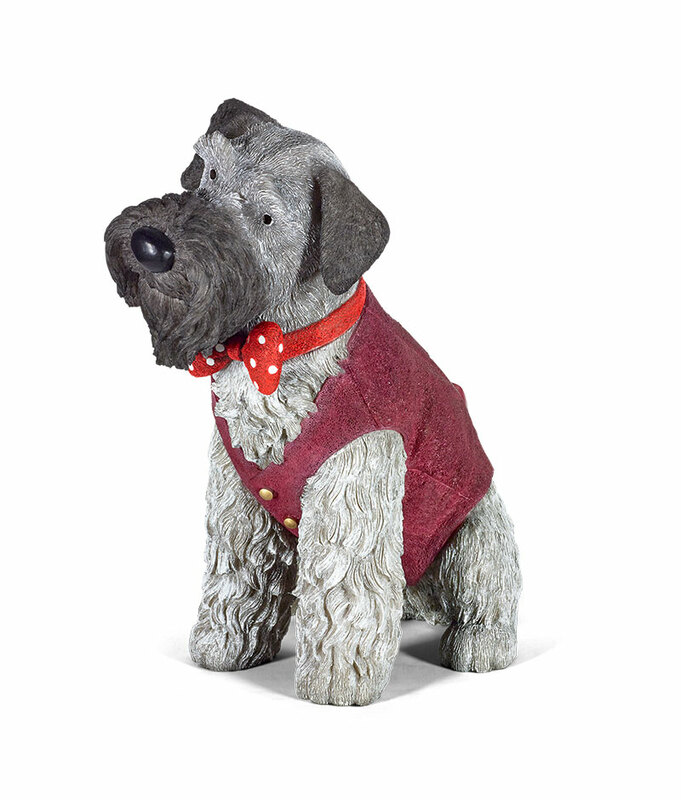 Doug Hyde turns his artistic hand to sculptures of everyday pets for this series of five canine sculptures and here we have 'Big Spender,' featuring the lovable breed mini schnauzer. Our hero is dressed for a special occasion in a beautiful lush coloured, purple waist coat and red and white polka dot dicky bow and I am sure he will be turning heads (and tails) wherever he goes! Notice how the dog's head tilts to one side, with an inquisitive gaze that is so typical of this lovable breed, known for its curiosity and zest for life. There is a life-like quality to this sculpture that has to be seen in person and physically handled, to appreciate it. ‘Big Spender’ reminds you that Doug is an amazing naive artist, a keen observer of animal behaviour but moreover is an animal lover through and through!